Synopsis: Madeline Whittier is allergic to the outside world. So allergic, in fact, that she has never left the house in all of her seventeen years. But when Olly moves in next door, and wants to talk to Maddie, tiny holes start to appear in the protective bubble her mother has built around her. Olly writes his IM address on a piece of paper, shows it at her window, and suddenly, a door opens. But does Maddie dare to step outside her comfort zone? Life is hard when you’re allergic to pretty much anything in the outside world. Locked up indoors and breathing filtered air, you could say Madeline has had a sheltered life: she’s watched the lives of others grow around her, but never her own, which subjects her to the same things day in day out. Given that she’s never had memories of what it’s like to be “normal”, she doesn’t have anything to miss. Except when Olly moves in next door and her hormones buzz for his languid athleticism and faux cynicsm. 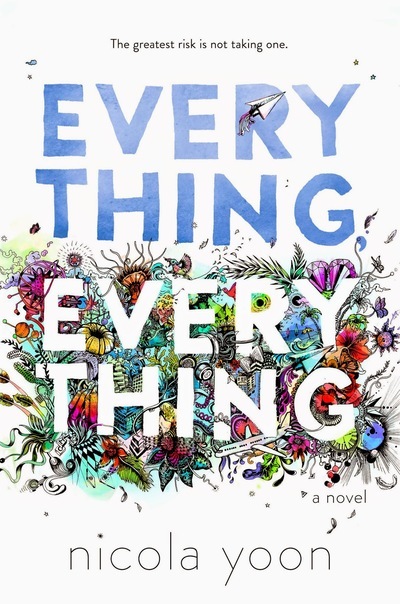 Everything Everything is a remarkably brief book. Though 320 pages long, it’s a whirlwind tour of a blossoming relationship and an unravelling illness; far too brief to get any hold of Madeline and Olly as characters, let alone a couple. Instant messages perforate Maddy’s narrative, but for all her talk of chatting until the early hours of the morning, little more than a couple of pages are present. It’s her narrative as a whole, with its scattered documents, ideas and thoughts, that never really gives us time to absorb anything. It feels like Yoon is trying hard to create a holistic view of Madeline’s life that she forgets that simple is almost always better – a few long IM transcripts could have gone a long way. Given its length, it’s hard to say much about Everything Everything other than that it’s too short. Olly and Maddy’s burgeoning relationship is sweet, but it does little to distract from its lack of development. Equally, the eventual revelation that all is not as it seems is hardly a shock – Yoon sows those seeds very early on and a perceptive reader wouldn’t struggle to pick up on those. 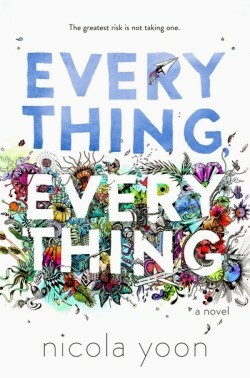 A valid debut, Everything Everything feels like it’s been a little too short-changed by its length and a too-eager attempt to make it more “immersive”; something that should have been picked up on by its Yoon’s editor.